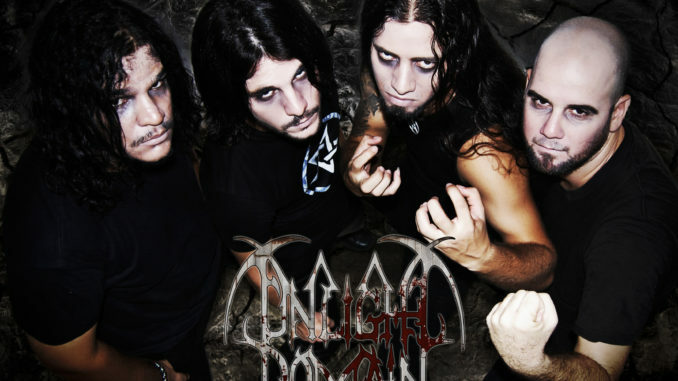 Asmodeus got wind of a band from Cuba who awakened his interest and took a look into the band Unlight Domain. In 2005 in the city of Matanzas Cuba, the project Unlight Domain arises based on the idea of Ivan Leonard who assumes the roles of guitarist and director and Jordany Perez who until then was a drummer of Puertas Negras. They are joined by José Blanco in the voice and later Liúber Nephew who played bass in Amenthis. 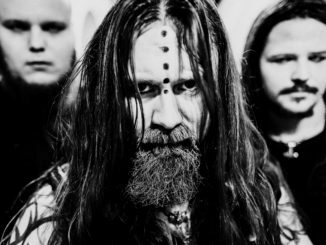 The band still had no name when they recorded their first two songs, “In the Name of Satan” and “Dark Battle”. The name arises when in a discussion between José Blanco and Aramis Laurencio, who later would be representative and lyricist of the group, two names arise. Aramis proposes Unlight while Joseph prefers Domain. In the end they decide to join the two words and thus is born Unlight Domain. In July 2005 the group recorded four other tracks that joined the previous two to form the first demo under the title of Unlight Domain. At this stage the music of the band was something flat and linear, making themselves felt the musical influences that the group had. The members were very dissatisfied with the production in this demo where all the music was composed by Ivan Leonard and the texts were written by Aramis Laurencio, Jose Blanco and Ivan. In spite of these limitations, this phonogram reaches a nomination as best demo metal in Cuerda Viva, a television program that promotes the metal and other musical genres alternative in Cuba. The group is also nominated as best new band and most popular band. The second demo, “Shadows, Blood and the Unholyone”, is finished in August 2007. 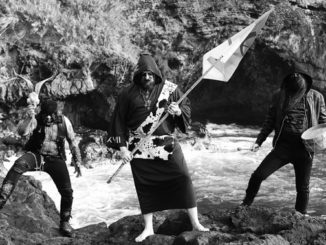 Here Unlight Domain begins to show its own style of making black metal. Leaving musical influences aside the composition reaches a higher level in the six songs of this demo. “The Mordor’s Dark Forces” them, based on the “Lord of the Rings” trilogy by J.R.R. Tolkien immediately becomes one of the band’s hymns. The production in this demo is higher than the previous one although it does not reach the levels desired by the group. All the music was composed by Ivan Leonard and all the lyrics were written by Aramis Laurencio. This work also reached a nomination in Live String in the category of best metal demo. 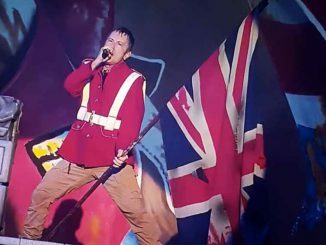 The song is chosen by the Cuban record label Bis Music to be included in the album Rock Vivo, a compilation of some of the most important rock bands in the country. Due to the nonconformities of Ivan Leonard with the quality of the previous productions this one decides to create Supremacy Studio in his own house. From that moment Ivan becomes the producer of the disks of Unlight Domain. This is how “Descensus Averni”, the group’s first album, is released in October 2008, representing a great evolutionary leap in the band’s work. In each of its nine songs you can see a solid and very mature style where the arrangements are more complex, deep and cold. 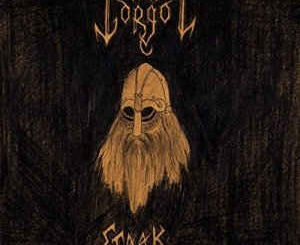 Something curious is the theme that gives the album its name, an instrumental that moves away from the black metal sound and is closer to heavy metal where you can see the level reached by the group. This album also includes a version of the theme Waiting pertaining to the first demo. Here all the music returns to be Ivan Leonard and Aramis Laurencio writes all the lyrics. This album was nominated in Cuerda Viva, in Cubademo and in Cubadisco, the most important event of music in Cuba. 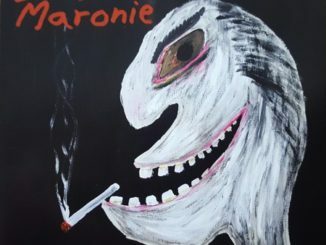 Two years later the theme «Inner Demons» would be re-recorded for the filming of the group’s first official video clip. At the end of 2008, a CD produced by American Line Production was released in Mexico. This is a split cd that Unlight Domain shares with the black thrash band Ancestor. This work includes the six tracks from the first demo of the group and becomes the first split cd in the history of metal in Cuba. 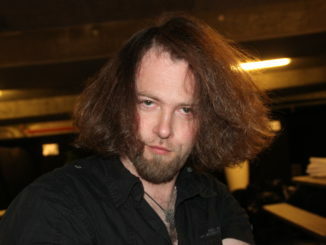 It is in this period that Jordany Pérez decides to leave the group performing his last concert with Unlight Domain in December of 2008. Months later the battery would be occupied by Andry Hernandez, ex- member of Ancestor. In 2011 Liúber Sobrino goes to live in Spain being replaced by Camilo Vera in the bass. 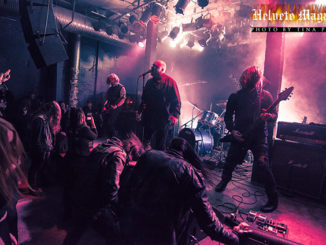 In November 2012 the recording of the second studio album of Unlight Domain, «Ruins of Creation», begins in the Supremacy Studio of the band. The album is released in January 2013. Together with the album, the group’s first DVD is released under the title Alive in Ruins. “Ruins of Creation” is far superior in all senses to the previous works of the band. For the first time the group feels at ease with the production achieved. Musically it is even more technical than the “Descensus Averni”. Here you can talk about a way to make and an Unlight Domain sound. This album is more than a set of songs, it’s a concept album. The first seven songs address the same theme: the self-destruction of man and the need to find new ways. The last issue, «Beneath the Mask», is another one that takes up this idea. 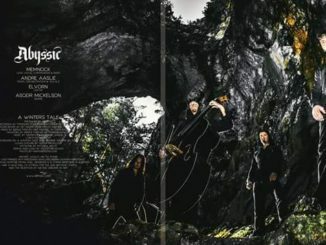 The riff of Summon, the first cut of the disc, is felt again in “The Age of Man” while some verses are repeated in several subjects thus creating a solidity unit in the whole of the album. The design is also interesting. Following the sequence of the cover, the printing of the cd and the DVD can be observed the disappearance of a power that only aggravates the problems of humanity. Here the musical composition is shared between Ivan Leonard and Camilo Vera while Aramis Laurencio is in charge of the lyrics. Unlight Domain is one of the most active bands in the country. 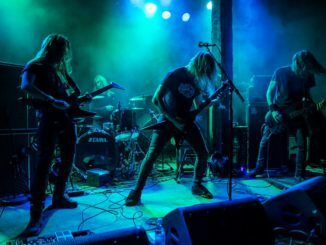 They have played in all the metal festivals that are held in Cuba and keeps offering concerts constantly achieving a solid base of followers. Currently the band is immersed in plans to film several videos with themes of the “Ruins of Creation”. In 2014 the drummer Andry Hernandez goes to live in Brazil and is replaced by Yasell Gomez. For the future Unlight Domain is working right now on a new cd. The disc is already written and will be called “Unended Freedom Tale”. It is a conceptual work on the history and current affairs of our country. Musically we will continue developing the style of the band from the previous album. They want it to come out this year. As the previous albums the music will be in charge of Ivan Leonard and the lyrics are by Aramis Laurencio. The band has an old desire: To record a DVD with a symphonic orchestra. Themes are already orchestrated. They have tried to do it twice but due to Economic, logistical problems and misunderstandings they have not succeeded. They still do not give up on the idea and will try again. Another dream is to play outside Cuba and take our metal to other places, participate in festivals and tours. We in Helvete Magazine wish Unlight Domain the best and hope to see them on stage soon.